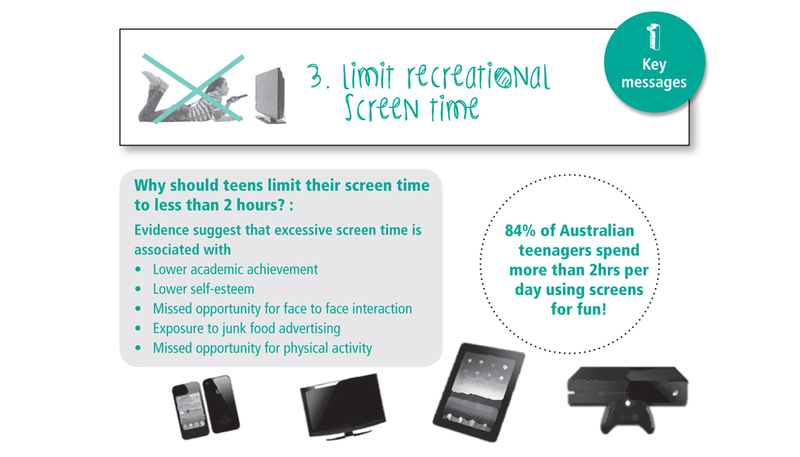 A parent guide provided by NSW Health to advise parents on supporting their teenagers with a physical activity program and healthy eating. 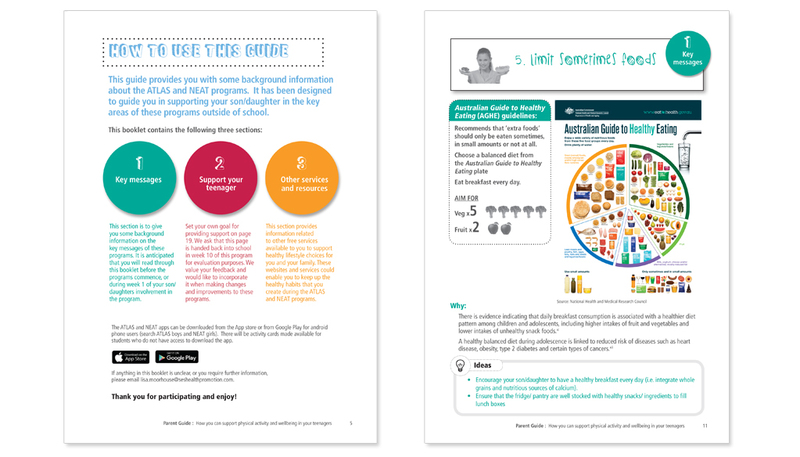 NSW Health commissioned Hopping Mad to produce an A5 booklet providing parents with information about physical activity and well being in teenagers to be used in conjunction with an app being promoted through high schools. Hopping Mad created a fun and easy to use support booklet with infographics and illustrations. Colour coding and clear segmenting of information was incoporated to strengthen communication.